Ilona Andrews on Ilona Andrews. Ilona: Let's see, umm. Russian by birth, American by choice, wife of one, mother of two, writer of much silliness involving women in leather with swords and guns. And monsters. Lots and lots of monsters. Gordon: I was raised in Smoky Mountains of NC, did a stint in the Navy, went to college, did a stint in the Army, and now work in Human Resources and write scary books with Ilona. Gordon: Better you answer this one. Ilona: We all hit a point in our life when we must makes a drastic choice, a sort of a fork in the road, and it becomes clear that if we take a certain path, our life will never be the same. Magic Bites is a novel about a woman, Kate, who is faced with such a choice. Her guardian, the last remnant of her family, is murdered and she has to decide to continue to hide, as she had done until that moment, or to investigate his murder. In a sense, Kate's world is also caught at crossroads: one moment technology works and the next a magic wave drowns it, making spells possible. What next for Kate Daniels (the protagonist from Magic Bites)? Gordon: Yes, Kate and Curran get to work on their relationship a bit. Not killing each other would be good. Gordon: As many as people are willing to read. Ilona: Planned five so far, but we're contracted only for two. How many will make it to print depends on Ace and sales numbers. Your portrayal of vampires as repulsive mindless undead puppets, tools for the necromancers to use and control, is an original concept and along way from the usual vampire stereotype – where did this idea come from? Ilona: Honestly, I don't remember. It might have been one of those, "oh cool, let's try this" moments. If I really had to dig deep, I'd say it's influenced by the concepts of necromancer introduced in games and film. The idea of a dark wizard who raises armies of skeletal warriors and hurls them at the hero is used very frequently in modern fantasy. If such a wizard can control corpses, why not have someone who can control vampires? Gordon: Ilona has a Slavic background, and Slavs tend to not romanticize the vampires quite as much. I thought it would be something different. Writing as a team, how does that work? Gordon: Like marriage: give and take. We complement each other. Is it hard writing with your husband/wife? What happens if you have strong opposing views on a character or plot? Gordon: if we disagree, we work on it until we compromise. Ilona: Generally, we don't. I mean we still disagree, but nothing drastic. Would either of you like to write a novel on your own? Ilona: I would but it would be very short. I'd run out of steam by 30 k. Gordon's been making noises about a novel for Nick from Magic Bites. Gordon: yes, but if you didn't help me, I wouldn't finish. 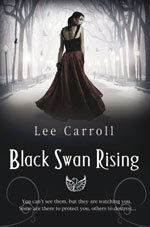 Have you always been interested in the urban fantasy genre? Would you consider writing in a different genre? Gordon: I was introduced to fantasy as a whole in college by Ilona. She gave me David Eddings' books. I feel that a lot of urban fantasy combines the best elements of mystery and fantasy in a modern setting. The rules aren't as strict. It's not as cut and dry. The genre is relatively new and wide and you don't have to fight quite as many stereotypes. You can make your own. As to would we consider writing in a different genre, yes we would and we have. Ilona: To date, we have a traditional fantasy completed, and a number of proposals on submission ranging from futuristic fantasy to romance. The allure of urban fantasy is that one can bring a little bit of magic into the mundane life Unfortunately it's also UF's downfall: you can only do so much with the setting before you step out of the genre. Ilona: Copyedit of Magic Burns. Once our wonderful agent, Rachel Vater, has a chance to review our proposals, we'll probably be working on one of those stories. Many would-be authors never see their work in print – how did getting published happen for you? Ilona: That's a very long and painful story. In short, we worked very hard. I can tell you where I was when I got the call – I was in Stratholme Undead side in World of Warcraft, playing my priest. Gordon put the phone to my ear and I heard, "Congratulations. Ace made an offer." Gordon: It's a really long story. Do you have any advice for aspiring urban fantasy authors? Ilona: Write what you're passionate about. Read widely and don't stick to the same staples of the genre that everyone else uses. As a reader, what is your favourite book? Gordon: Catskill Eagle by Robert Parker. Ilona: Umm. I don't know! There are just too many. I just read Slave to Sensation by Nalini Singh, which is a futuristic romance, and I loved it. On the urban fantasy front, Jeanine Frost graciously sent me her Advance Reading Copy of Halfway to the Grave, and I thought it was awesome. As writers, which authors have influenced and inspired your own work? Ilona: Dean Koontz, David Gemmel, Robert Parker, Mario Puzo, Lincoln Child and Douglas Preston... there is more, heh. Who is your favourite vampire character? Gordon: Cassidy from the Preacher Series. Ilona: Oh, great question. When I was younger, it was Jerry Dandridge from Fright Night. I don't know why, but I thought he was the coolest thing ever. I've watched the movie as an adult and was slightly less impressed, but he still might be my favourite. A big "Thank You" to both Gordon and Ilona Andrews for taking part in the LoveVampires Author Interview. 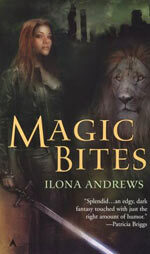 For more information on Ilona Andrews' books visit Ilona's website.